North from the park you can take the Bethpage bike trail up to Bethpage State Park. The first hill is quite a doozy but from there it’s smooth sailing along the Bethpage bikeway up to Bethpage State Park. Once you get moving it will give you another ten more miles onto your ride. What’s really amazing about the trail is that moment you’re riding up the hill to Bethpage from Massapequa and you actually think you’re not on Long Island. For a brief moment it feels like you’ve finally left the city. 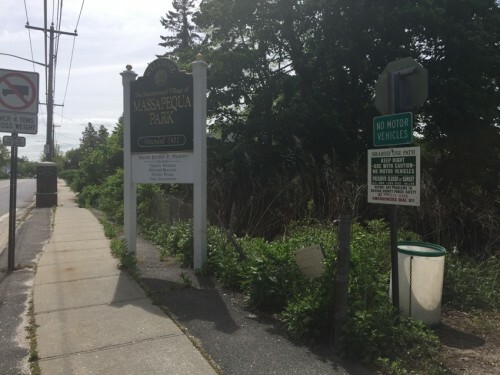 They are also planning on connecting the Bethpage Bikeway Trail to the Greenway which will bring it to an entirely different level. Massapequa Preserve © 2019. All Rights Reserved.